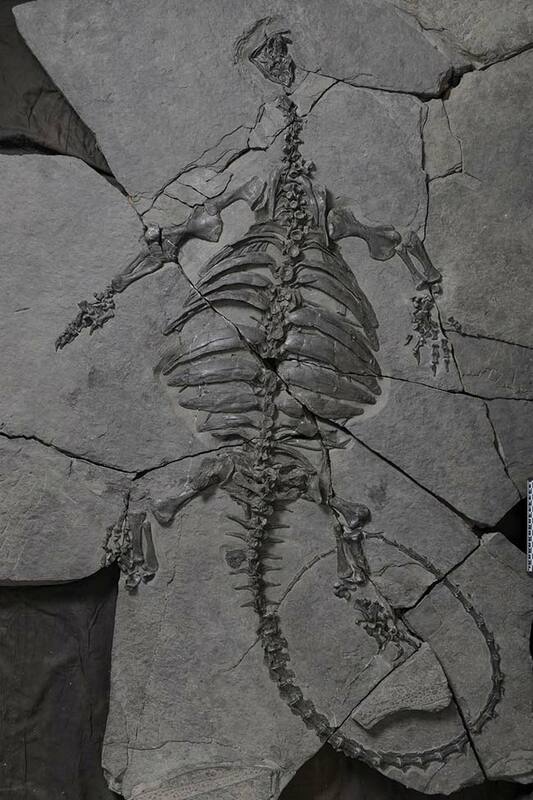 Penelitian - A fossilized skeleton of a turtle, dating back about 228 million years to the dawn of the dinosaur era, has been found in China, shedding new light on the earliest evolution of turtles. This is the oldest turtle ever discovered with a toothless beak. The turtle, more than 2 meters long, with a short trunk, had no shell on its back and abdomen, said Li Chun, a researcher at the Institute of Vertebrate Paleontology and Paleoanthropology of the Chinese Academy of Sciences. 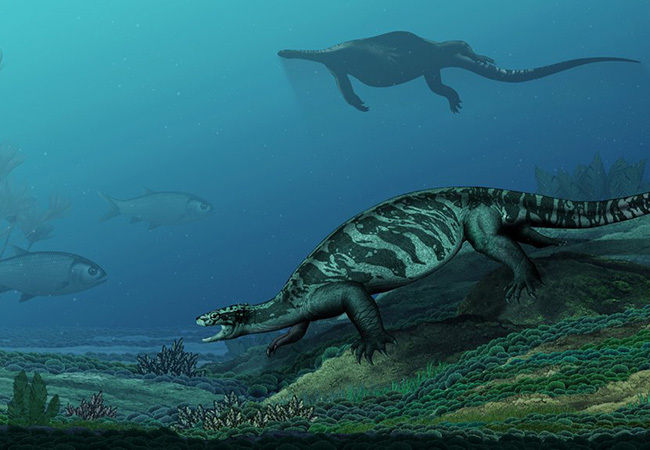 Found from the late Triassic deposits in Guanling County in southwest China's Guizhou Province, it has been named Eorhynchochelys, meaning "first turtle with a beak", and featured in the latest issue of the Nature. "We are familiar with modern turtles, but the evolution of turtle remains one of the biggest mysteries in paleontology," said Li. The body of a turtle is quite different from all other tetrapods, such as lizards, crocodiles, birds and mammals. A turtle has a very short trunk, enclosed by its shell. Modern turtles have toothless beaks similar to those of birds. The discrepancy between turtle and other tetrapods is as large as the difference between a cable car and other automobiles. Before 2008, the oldest and most primitive turtle discovered, named Proganochelys, dated back around 200 million years and had the same body structure as modern turtles. It had a complete shell and a beak. Li has spent 20 years studying fossilized reptiles in southwest China's Yunnan and Guizhou provinces, and has discovered a dozen new species. In 2008, he led his team to find a primitive turtle fossil in Guizhou's Guanling County. That turtle, named Odontochelys, meaning "turtle with teeth and semi-shell," dated back about 220 million years and was the oldest known at that time. For the first time, people saw a creature one step earlier in the evolution of turtle. Then in 2015, another primitive turtle, Pappochelys, dating back about 240 million years, was discovered in Germany. The same year, Li saw a fossil in the collection of the Sanya Museum of Marine Paleontology, south China's Hainan Province. "It looked like a primitive turtle. I guessed some people dug it out from Guizhou's Guanling County, but obviously nobody knew what it was," Li said. Li and his team spent a year repairing the fossil and investigating its origin. Finally they confirmed that the fossil came from a site a few kilometers from the place where the Odontochelys was found in 2008. 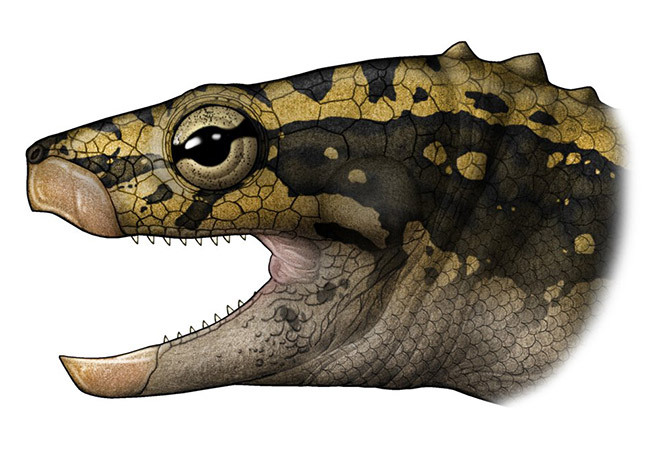 Analysis by a joint team of researchers from China and the National Museums Scotland, the Field Museum of Natural History in the United States and the Canadian Museum of Nature showed that evolutionary position of Eorhynchochelys is between Odontochelys and Pappochelys, filling another missing link in turtle's natural history. Eorhynchochelys, or the turtle with the earliest beak, showed primitive, derived and transitional features, indicating a complexity in the early stage of turtle's evolution, Li said. Its skeleton suggested the turtle might have lived an amphibious life near an estuary, and had a habit of digging holes. "With the discovery of the recent turtle fossils, more and more evidence suggests that turtle evolved gradually. I think our new discovery supports Darwin's theory that biological evolution went on step by step," Li said. Reviewers of Nature commented that the finding was extremely important as it closed a major gap in the evolution of turtle, and indicated the development was more complex than previously assumed.